Global travel and mobility are skyrocketing, you must provide your subscribers with the same high-quality mobile experience whether they are at home or overseas, and whether they are making voice calls, sending texts or using data services. What’s more, you need to stimulate roaming usage through innovative bundling and offers tailored to user preferences. There is a massive explosion of devices requiring mobile data connectivity anywhere, anytime for Internet of Things (IoT) deployments. 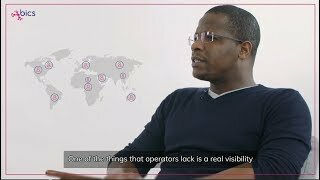 Your enterprise customers are looking to mobile operators to provide a one-stop solution that provides their devices with connectivity no matter where they go. Quickly create a unique roaming offer without complex procedures, commercial and technical agreements! 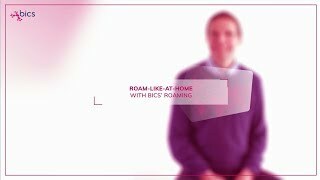 BICS offers a unique and innovative suite of roaming services to simplify, expand and enhance your international roaming coverage instantly. Offer immediate access to more than 770 mobile networks worldwide from 2G, 3G, 4G, LTE and CAMEL for consumers and IoT applications. 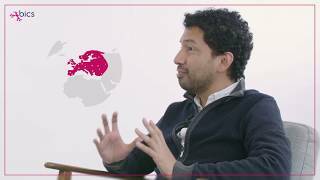 Our roaming solution serves 220 mobile operators and 1.2 billion consumers and IoT devices around the world. Simplify and accelerate roaming services with immediate access to our global network. In a matter of weeks, support your customers in over 159 countries and connect to 500+ mobile operators with BICS Instant Roaming. One single connection, one invoice and one single point of contact. Optimise your roaming business. Streamline your processes, expand your footprint, increase revenues and enhance your services with the BICS OC Roaming Hub. Access a world-class hubbing solution that connects you to all the international roaming and interworking services you need. Overcome the complexities of managing the back-end of roaming, including transmission and processing of records. Our clearing and settlement services helps you meet compliance, transparency, billing and settlement needs with your roaming partners. Ensure availability and quality of service, check interoperability complexities and troubleshoot and resolve issues with your outbound roaming service – without the expense of maintaining your own system infrastructure. RoamFast automates outbound roaming testing via a network of test probes covering 209 countries and over 770 networks. Maximize inbound and outbound roaming revenues, reduce costs, and ensure service availability and quality with our hosted value added services. Direct your users onto the most appropriate networks, detect and avoid errors and fraud, conduct targeted SMS campaigns or provide access to familiar short codes for commonly used services with our hosted services. Understand your roaming performance and subscribers’ preferences better to innovate, differentiate and improve. Extract actionable insights from the data about network performance and subscriber activity which already resides within your own systems with BICS roaming business intelligence and analytics solutions. “Swazi Mobile selected BICS for its excellency in delivering complex roaming projects in a very short time, as well providing premium roaming services thanks to its worldwide footprint." Our team can help you unlock the full potential of your Roaming offering, efficiently and professional! How can operators manage QoE with the correct steering strategy? Maximizing inbound and outbound roaming revenues explained by Raphael Glatt, Head of Mobile Signaling & Roaming @ BICS. 4G/LTE mobile roaming data doubles yet again – so what does the future hold?